Calm waters off Portscatho. 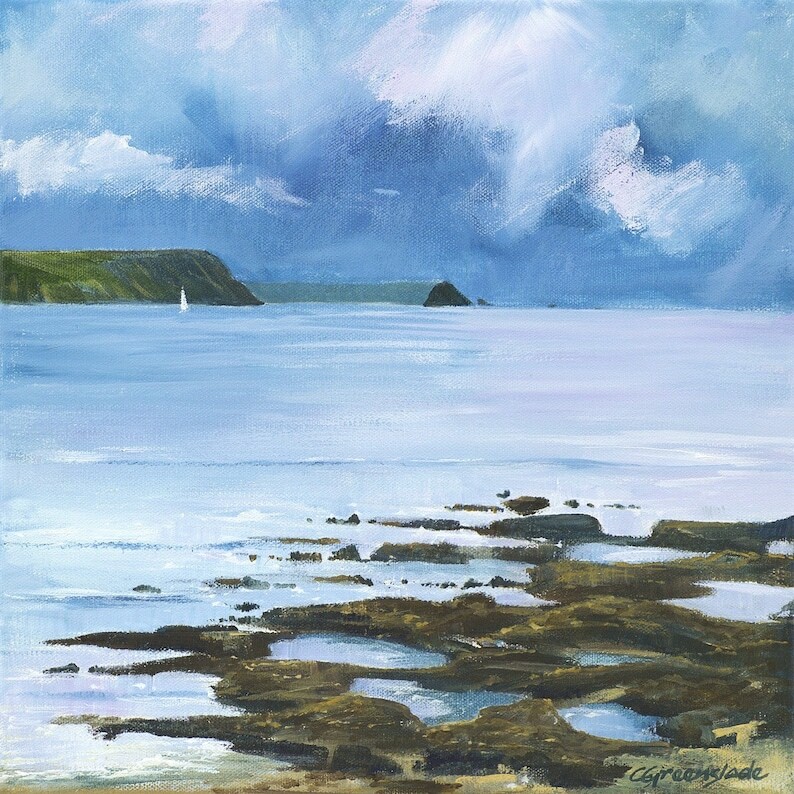 - A signed limited edition of 100 print from an original acrylic painting on canvas by Cynthia Greenslade. Looking out towards Nare Head, across a glassy sea and darkening skies.